The Huong Pagoda - Perfume Pagoda is a vast complex of Buddhist temples and shrines built into the limestone Huong Tich mountains. 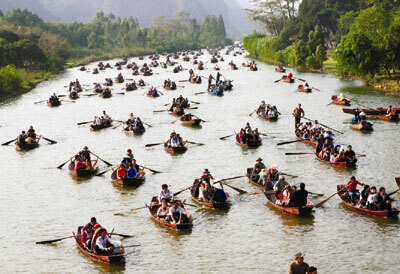 It is the site of a religious festival which draws large numbers of pilgrims from across Vietnam. The centre of the Huong Temple lies in Huong Son Commune, Mỹ Đức District, former Hà Tây Province (now Hanoi). 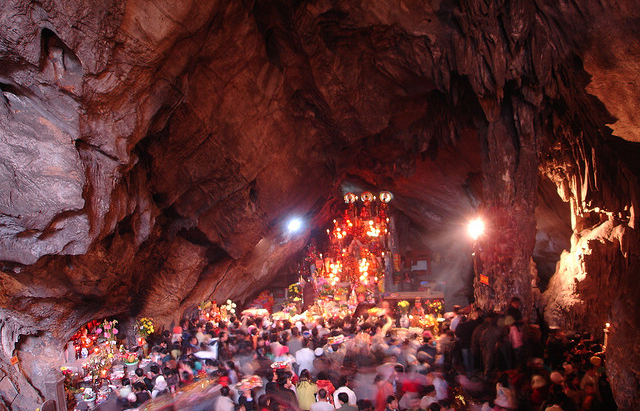 The centre of this complex is the Perfume Temple, also known as Chua Trong (Inner Temple), located in Huong Tich Cave. After on a bamboo boat, you can enjoy cable car to the main cave of pagoda. 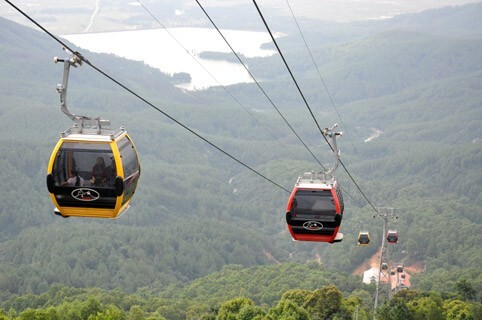 On cable car, you can admire the panorama of Pagoda and river - mountain. 10:00 Upon arrival prepare your things and start a 40 minute boat ride along the river side to enjoy beautiful landscapes of streams and paddy fields. 11:00 Leave the boat and do hiking up to the unique pagoda inside the cave (Huong Tich Cave) on the mountain summit (2.5km in height). Reaching the cave, you will have a feeling of entering the holy land of Buddhism. Also experience the breath-taking views of the mountainous landscape. 12:30 Go back down and enjoy Vietnamese lunch in a local restaurant nearby. 14:20 Visit Thien Tru Pagoda (called celestial kitchen), viewing the beautiful religious architectures. 15:00 Board the boat back to Duc Dock and return Hanoi. 18:30 Arrive in Hanoi. Get dropped off at your morning places. Tour ends. - Pick up and drop off at your hotel by air - conditioned bus. - Experienced and enthusiastic driver. 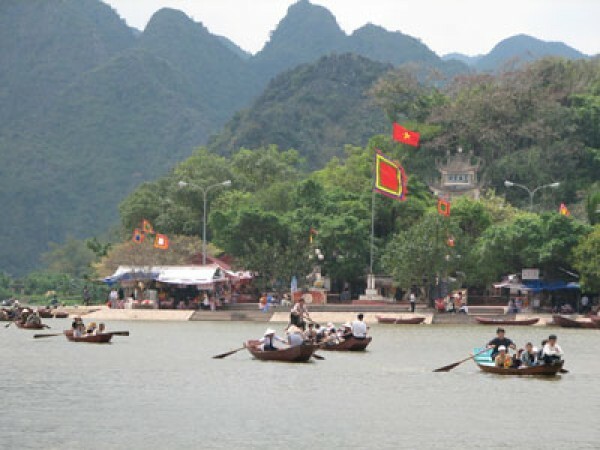 - Vietnamese lunch, entrance fee and boat fee. - Tips and others not indicated in the tour.